Half fill a large pot with water and bring to the boil. 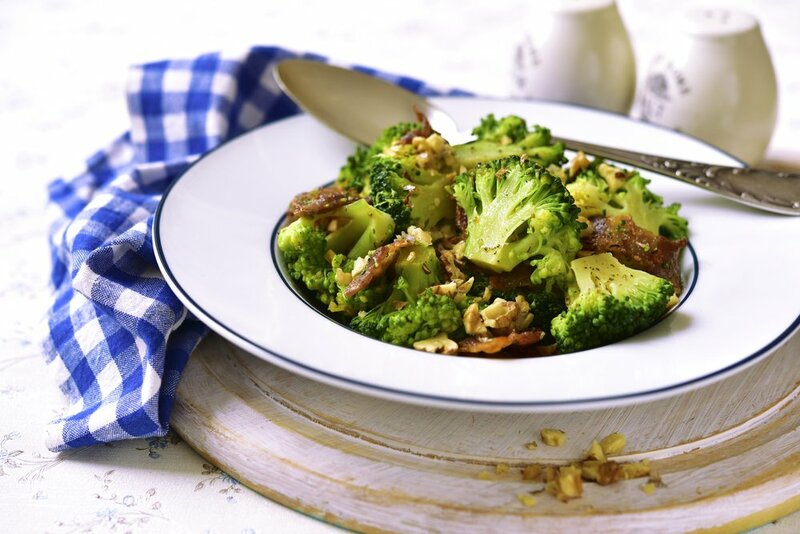 Once boiling, place broccoli florets into pot and blanch for 1-2 minutes to soften slightly. Drain, rinse with cold water and set aside in a large salad bowl to cool. Meanwhile, add dressing ingredients to a jug and whisk until well combined. Add all remaining salad ingredients to salad bowl and pour over dressing. Toss with tongs until all ingredients are well combined and thinly coated in dressing.